Attention original TMNT cartoon fans! Lionsgate has announced that it will be releasing all 47 episodes of the original cartoon's season 3 this summer in one 4-disc DVD boxset! These episodes were sold as separate DVD volumes 3, 4, 5 and 6 in the original DVD release of the series and will now be available in one set at a suggested retail price of $19.98. 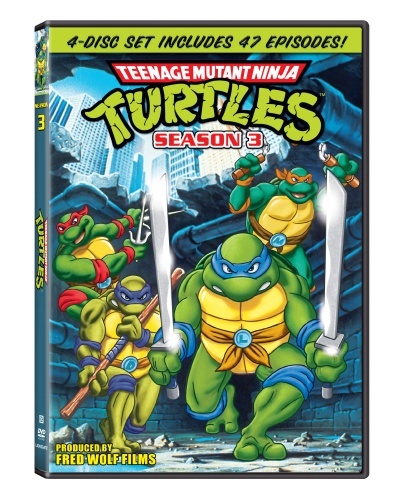 This is a definite must for collectors, especially if you missed the first original TMNT cartoon release on DVD! Be sure to check out the boxset featuring some of the most classic episodes in the series in stores on July 23! Feel free to discuss this upcoming release in this thread!